You find yourself on a website hosting A Quartz Bead. The webcomic spans over 230 pages and you can read the whole of it here. 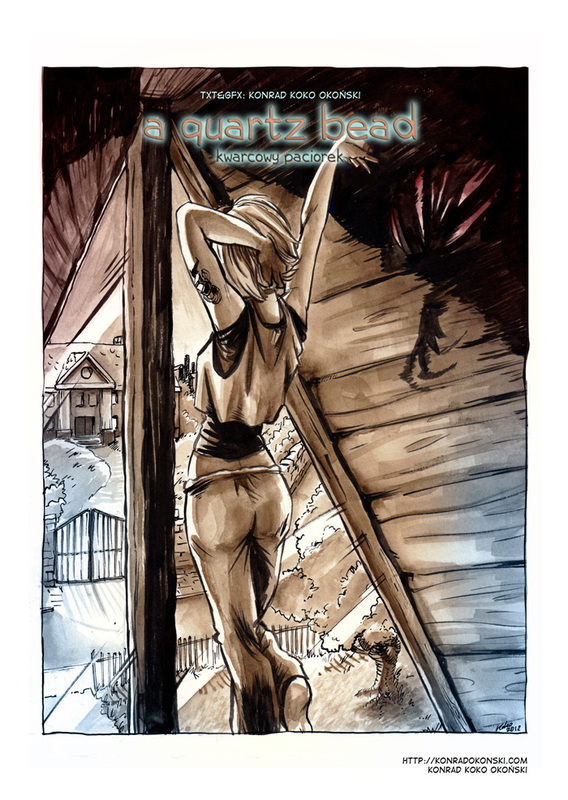 Please, bear in mind that I started A Quartz Bead in 2006, long ago and long before college. The artstyle and the style of writing at the beginning and at the end differ from each other and from what I do now. Should you be interested in my more current projects, please visit my main page or my facebook page. There’s been an issue with the database because of some spam comments. Unfortunately I’ve decided to replace the old system with Disqus to protect the sites on my server- the old comments are not lost, but will not be accessible anymore, I’m very sorry to say.